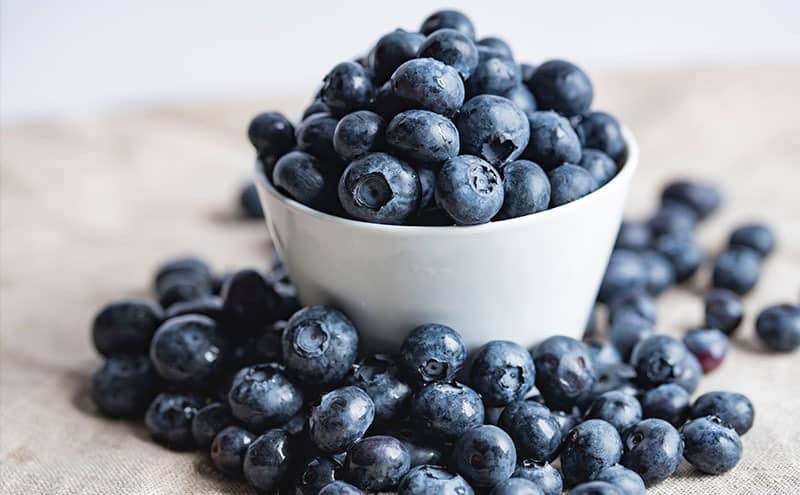 As well as zapping harmful free radicals in the body, the nutrients in blueberries can boost the immune system and brain function, decrease bad cholesterol, blood pressure and risk of heart disease and stroke, inflammation and help fight urinary infections. 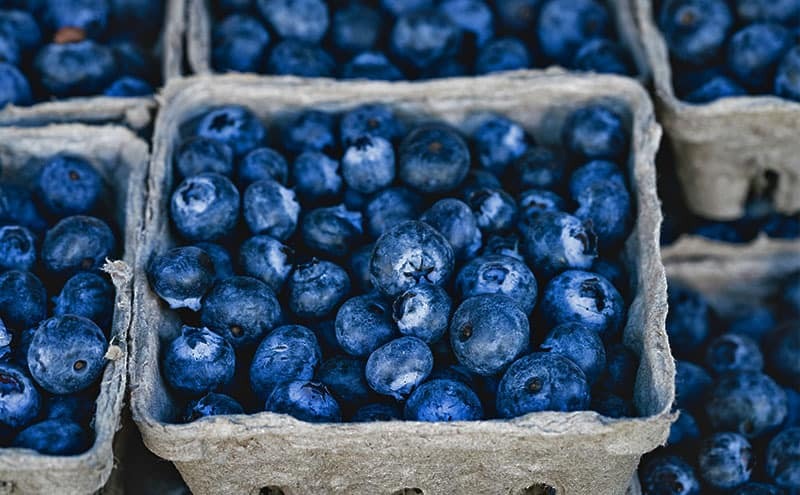 On their own, in a fruit salad, as a topping for a cheesecake or in a pie – however they come, blueberries are one of the tastiest fruits in most people’s book. Aside from being incredibly popular and scrumptious, blueberries have hidden talents. They are one of the most nutritious foods around, so there’s no reason not to dive in! Let’s explore these delicious little superberries, their health benefits, and what scientific studies say about them. Blueberries are the fruit of a flowering shrub native to North America. They are closely related to cranberries, bilberries and huckleberries. Some species of the blueberry shrub reach just ten centimeters in height while others can grow up to four meters tall. Blueberries are green when they first emerge and gradually darken in color until they reach that luscious indigo blue; they grow to between five and sixteen millimeters. Highbush blueberries – these are the kind most commonly cultivated and are the larger fruits we see in stores. Lowbush blueberries are those which come from the smaller species of blueberry shrub. Often called “wild blueberries”, these berries are smaller and richer in nutrients. Blueberries are a powerhouse when it comes to providing nutrients. They are low in calories, containing just 57 calories per 100 grams, and consist primarily of water (84 percent) with some carbohydrates and a little fat, including omega-3 and omega-6 fatty acids and protein. When it comes to vitamins and minerals, blueberries have a very impressive resume. They are particularly high in vitamins K and C, and also contain vitamins E, B6, B1, B2, B3, B5, B9 and A. 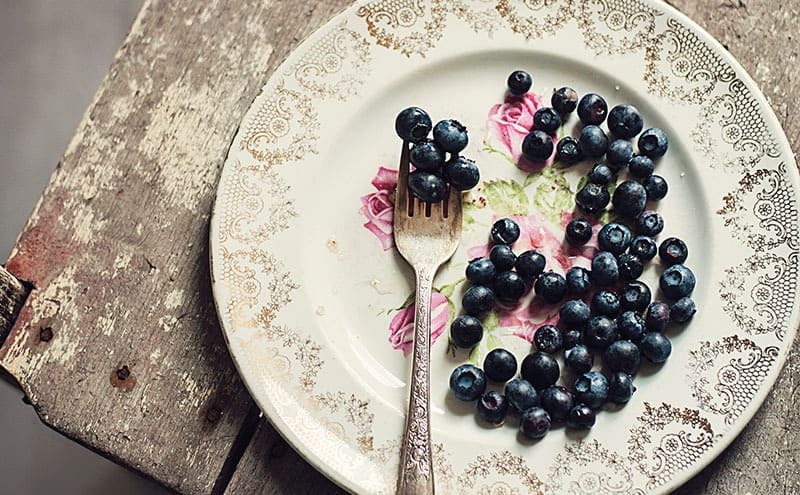 Along with vitamins and minerals, blueberries contain a wide range of phytochemicals. These are chemical compounds which naturally occur in plants and have various protective functions. In plants these compounds are an important part of their defense mechanism against potential dangers such as insect attacks and UV rays. Research is only just scraping the surface when it comes to the potential benefits of phytochemicals for humans, but some phytochemicals have been identified, and studies indicate they can protect against various different health conditions. With all of the vitamins, minerals and phytochemicals in blueberries, it’s no surprise that each one is tiny little purple powerpack of health benefits. Blueberries are a fantastic source of many different antioxidants – compounds capable of absorbing harmful free radicals. These are chemically unstable substances that cause cell damage and can contribute to increased risk of diseases such as cancer as well as the aging process. One research trial demonstrated a 20 percent increase in protection against free radicals in participants who consumed a liter of mixed blueberry and apple juice every day for just four weeks. Cholesterol is often seen as a bad guy, and while it’s true that a high level of cholesterol in the blood can have a variety of negative effects including increased risk of coronary heart disease and stroke, this isn’t the whole story. In reality, there are two types of cholesterol. One of them, low density lipoprotein (LDL) cholesterol is bad, but the other, known as high density lipoprotein (HDL) cholesterol is something we can’t live without; we need some cholesterol to make a variety of hormones and other substances vital for good health. According to The American Heart Association high blood pressure, also known as hypertension, is one of the main predicting factors in heart attack and stroke. High blood pressure puts our artery walls under pressure and can increase the risk of dislodging blot clots. Once free to move in the bloodstream, clots can then cause occlusions or blockages in the relatively small vessels which supply the heart and brain with oxygen and nutrients. With the combined effect of lower blood pressure and lower levels of oxidized LDL cholesterol, it makes sense that blueberries can help to reduce the risk of heart disease and stroke. Research supports this too. 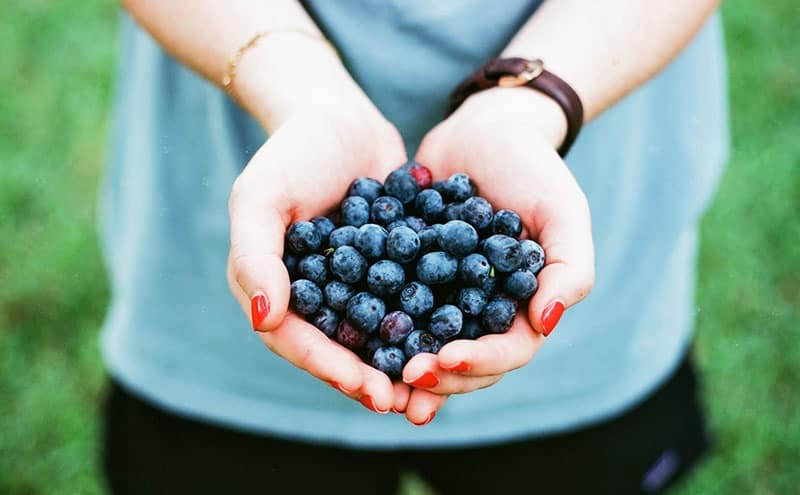 In an observational study involving more than 90,000 participants, researchers found that a diet high in anthocyanins, of which blueberries are an excellent source, was related to a 32 percent reduction in the risk of having a heart attack. As the organ responsible for controlling all other functions in the body, including the heart, the brain is without doubt central in health and survival, as well as being our central intelligence agency responsible for learning, cognition and memory. Several studies on non-human participants have shown that many of the compounds in blueberries are found in specific areas of the brain which have a key role to play in our thought processes and intelligence. ct on the brain cells and improve the function and communication between them. While fruit is nutritious and good for us, there are conditions which mean people need to carefully monitor the amount of fruit they eat. Insulin resistance is a situation where the body doesn’t respond correctly to the hormone insulin which normally acts to remove sugar in the form of glucose from the blood for storage, reducing blood sugar levels. Blueberries do contain some sugar, but at a relatively low level compared to some other fruits. The positive effects of blueberries on insulin resistance, however, seem to outweigh any downsides related to their sugar content. Inflammation can be helpful as part of the body’s normal response to infection or injury, but prolonged inflammation can delay healing and lead to complications. Inflammation has been identified as having a significant role in conditions such as asthma, chronic ulcers, colitis, Crohn’s disease and arthritis. Some experts are now suggesting chronic inflammation plays a major role in heart disease. Cranberries have long been associated with a reduction in the risk of suffering urinary tract infections (UTIs). They are thought to do so by preventing bacteria such as E. coli from sticking to the walls of the urinary tract, encouraging them to pass out of the body without causing health problems. So we can see that there are a whole bunch of reason why blueberries are important in our diets for improving health and reducing the risk of a number of different diseases, in addition to their delicious, delicate flavor! As research on phytochemicals grows in volume, we are starting to discover more and more about these powerful little berries, and we can all benefit from their positive effects on health.